This 123-page PDF lays out, in a very logical fashion, everything you need to know about travel photography. Many years practice in both doing and teaching travel photography, and my having worked in 38 countries to date, resulted in what I think is the perfect way to convey my knowledge. You judge – $19.95 for this 123-page e-book, packed with information, and richly illustrated with photo examples. Buy here. 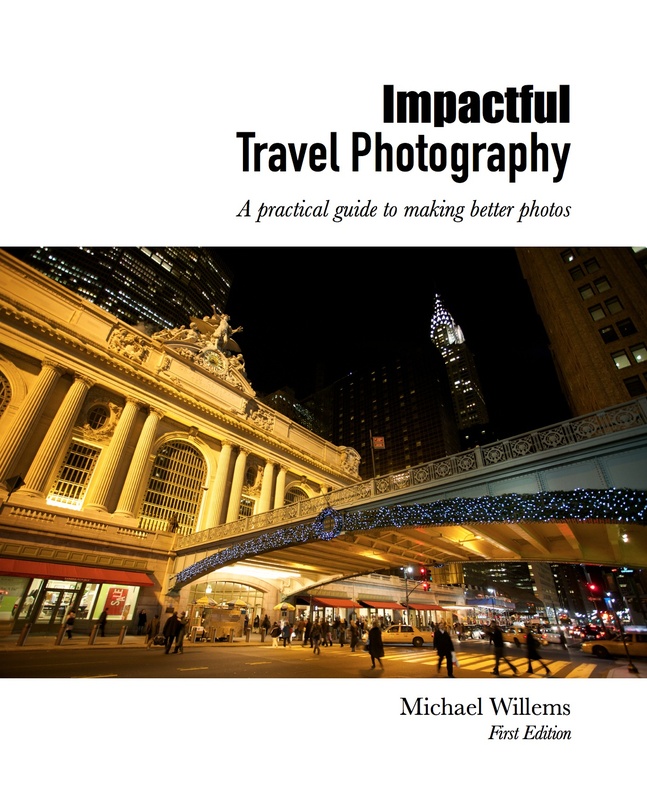 This book will change the way you do travel photography! Instead of coming back with thousands of “blaah” images, you will come back with great compositions that you are proud to show off. This book will demystify travel photography. The things you never thought were easy, actually are. Years of experience will help you quickly learn the do’s – and the don’ts. What’s more, you will frequently say “Oh… I should have thought of that”. This will make you creative. Creativity is often hampered not by lack of thoughts, but by lack of knowledge. Knowledge and ideas are what you need: Problem Solved! This book will allow you to get results from your current camera. Even if you only have simple equipment, I will teach you how to use it well. You do not need a huge SLR to apply the lessons in this book! This book will give you practical checklists. There are many good rules of thumb, starting points, and “to do” lists included. This is often the secret to learning quickly. CONVENIENCE: this is an Electronic Book formatted for reading on iPad and on your computer. I do not burden you with “Digital rights management” restrictions like most book authors. You will never see “not authorized on this device”. You can copy and read it on all your devices, forever. I trust my customers. COST: Because I self publish my books, there’s no Middle Man like Amazon, Google or Apple to take a large portion of the money. That means I can keep the cost down for you. Comparable books on similar subjects cost three or four times more. FUTURE PROOF: It’s digital. There will be a second edition soon, no doubt, with any misconceptions explained and errors fixed and new material added – and when that happens, you are entitled to the new edition at no extra cost! Many years of travel photography knowledge for just a few dollars: head on over to my e-store and get your copy. And take pro shots on your very next trip!